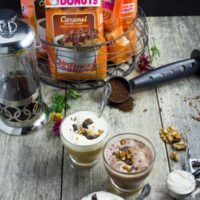 This Caramel Coffee Cake Coffee Affogato recipe is like the best of both worlds—An American twist on an all time favorite Italian dessert! It’s one of those desserts you can treat yourself to after a long day, or you can gather up your friends and have each assemble their own—it’s quick, easy and absolutely DIVINE! Now that’s the perfect excuse to enjoy more coffee in life! 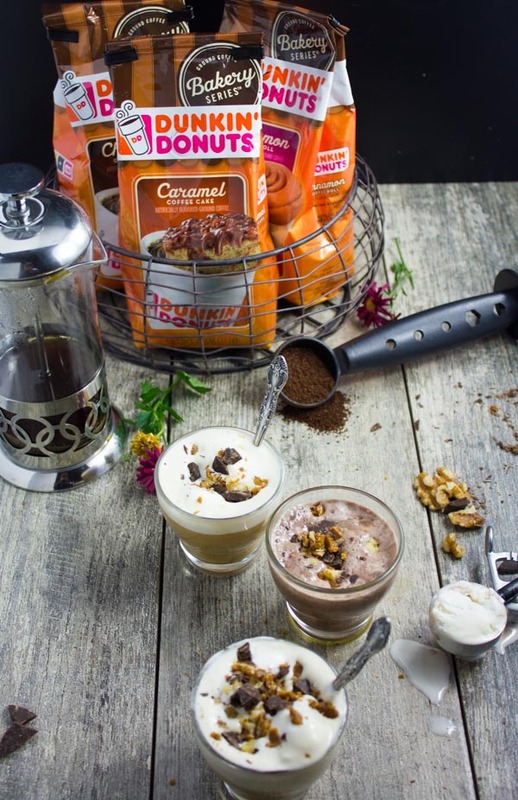 Today’s post is sponsored by my friends at Dunkin at Home—makers of truly AMAZING coffee! Thank you for sponsoring this post! 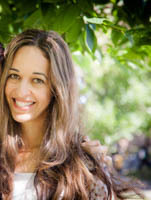 I think by now I’ve mentioned my love of coffee well enough on the blog so I won’t go there. Let me just say that today it’s not just about the love of coffee, it’s about the love of AMAZING sweet flavored coffee! I’ve always had a soft spot for flavored coffee, there’s something about it that feels like a treat, like a coffee for special occasions and Holidays. But now I make them part of my everyday coffee break, and this special treat feeling puts a huge smile on face! 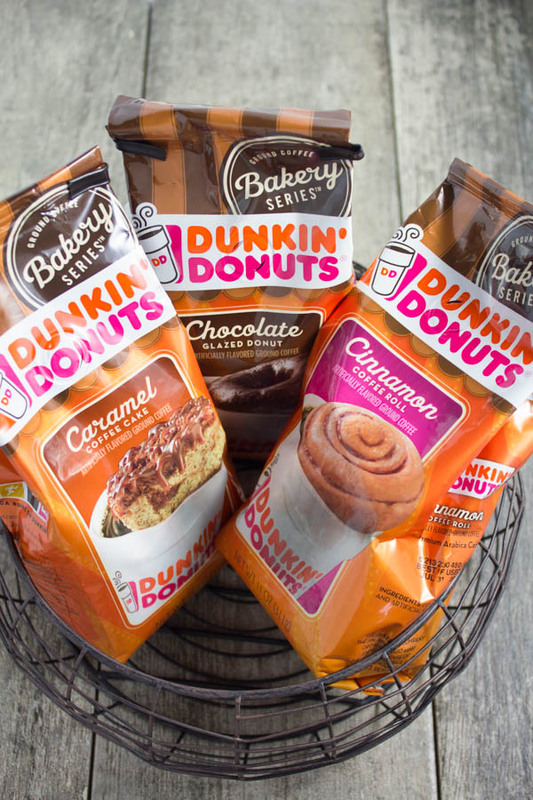 So when I came across those babies from Dunkin’ Donuts®—I just had to try them! Now for today’s coffee dessert, it’s really as simple and straight forward as can be. The almighty Affogato is an Italian classic dessert made simply by pouring piping hot espresso over a scoop of cold vanilla ice cream. 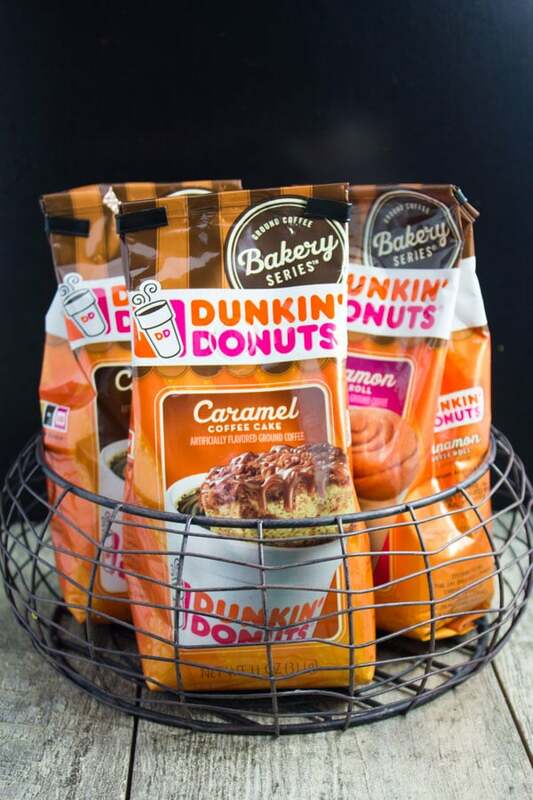 Now imagine using a caramel coffee cake flavored coffee, pouring this piping hot coffee over either a scoop of vanilla ice cream or chocolate ice cream and watching the ice cream melt right away and float to the top. Then to add a more dessert feel, I love sprinkling some chocolate chips and chopped walnuts and some caramel bits over that. 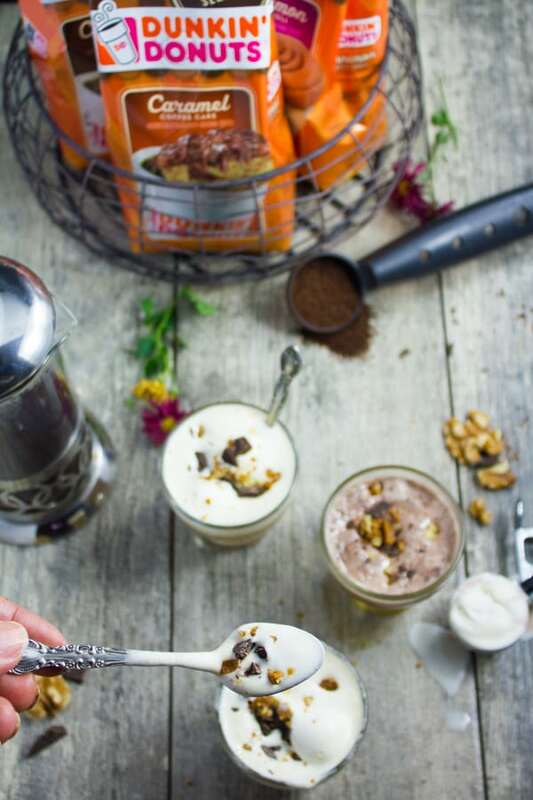 So each spoonful of this coffee affogato goodness is basically a bit of flavored coffee, a bit of ice-cream, and a touch of crunch from the chocolate, nuts and caramel. Simply DIVINE. It’s a coffee lovers dream. 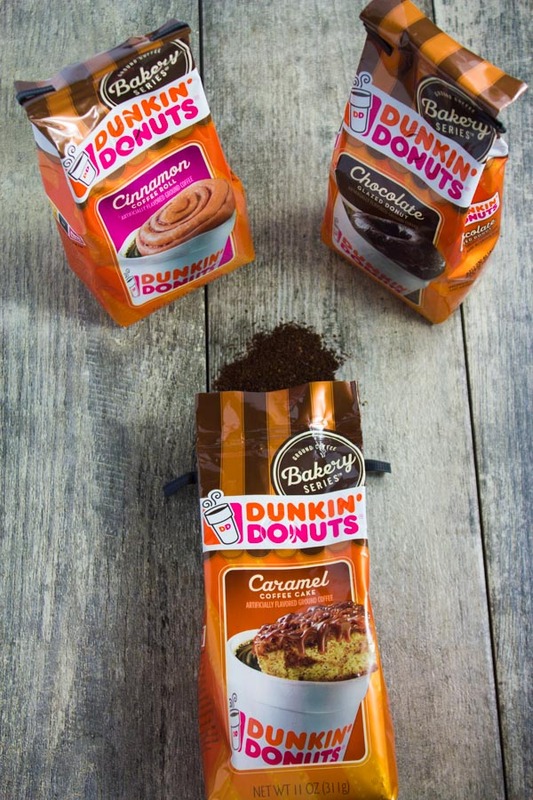 And when you use those new flavored coffees from Dunkin Donuts, it takes up the flavor to a whole new level. So you get that coffee dessert satisfaction from the affogato and you also get that dessert flavor from the coffee. 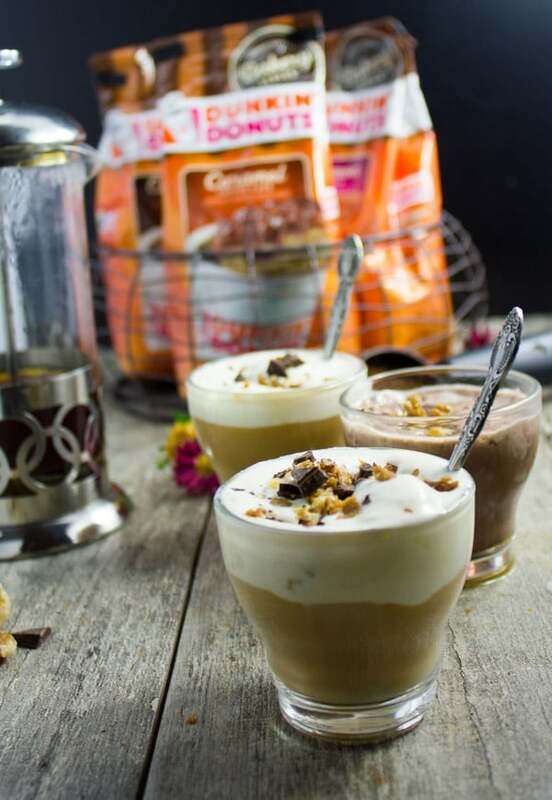 I used the Bakery Series® Caramel CoffeeCake flavor coffee today, and my affogato tasted like just that—a sweet combo of caramel, coffee and ice cream. 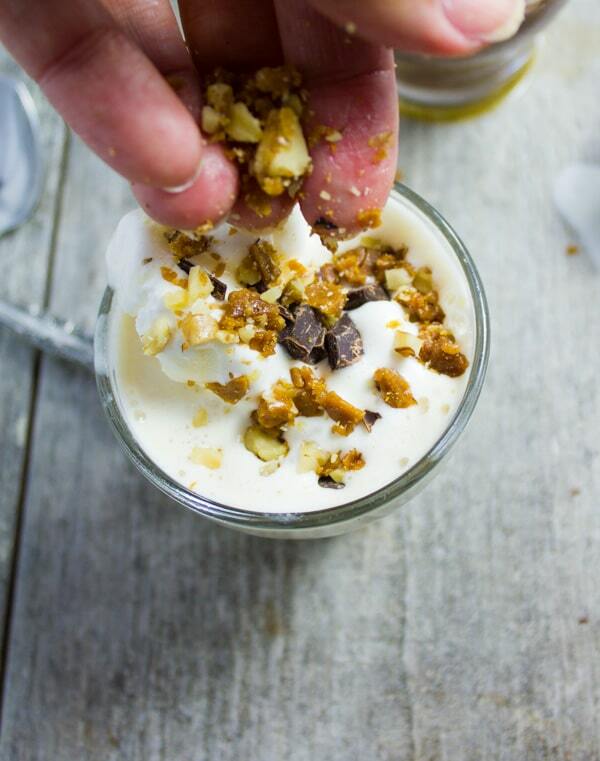 The toppings are totally optional and they’re not at all part of the classic Italian affogato, but I used them for a bit of crunch and texture, and they ended up being such GOOD idea!! 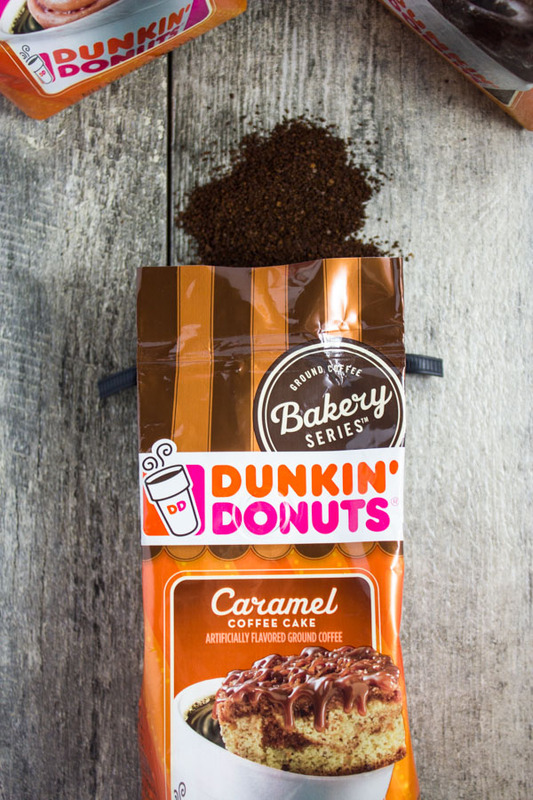 Brew your Dunkin Donuts Coffee (**cold brew works perfectly well with those Bakery Series coffees too) and keep it hot. 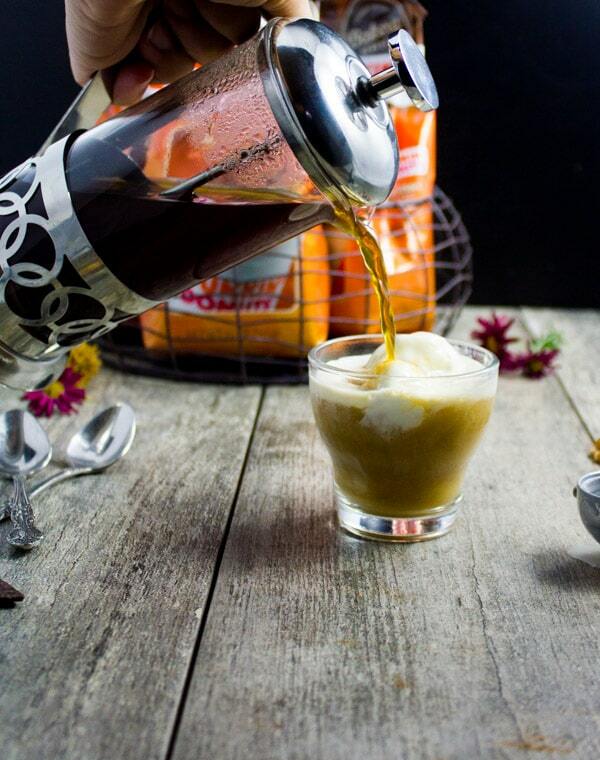 Assemble the Affogato by scooping in a scoop of either vanilla ice cream, chocolate ice cream or both at the bottom of your cup. Pour about half a cup of the brewed coffee (more or less to taste) over the ice cream and sprinkle your favorite toppings. Serve immediately with a spoon and enjoy!